And they came. And they were pushed. “How did this all begin?” is a question we hear from many of our guests during their visit to our Algonquin Park home.. It is a long story that we tell in part, to some, and in full to others who have the time and the interest. We tell this story, in the hope that it will inspire others to follow their bliss, follow their dreams, and follow their heart. January 26th of this year, 2018, marked the 20th anniversary of the passing of my father Stephen Charles Fancsy into the spirit realm. My mother, Rosemary Antoinette Fancsy (Goyeau), joined the spirit realm on November 13, 2016. It is through the generosity of both my parents, that Northern Edge Algonquin Retreat and Awareness Centre continues to be a place of inspiration and healing. I am deeply grateful for the gifts of all the ancestors, that support our lives and all those who have contributed to growing the dream of the Edge. I share this Story to inspire others to listen to the wisdom that lies within. My husband Todd and I first came to Algonquin Park together on our honeymoon, in 1982. Having lived in Windsor, Ontario all our lives, we came to respect the magnificence and beauty of Algonquin, and felt the immediate depth of nature’s touch. At the time we didn’t know that we would be revisiting the park and getting to know it more intimately, one day calling this place our home. Three years later, we visited Algonquin Park once again while participating on an Outdoor Recreation program for 9 days, with the University of Windsor. We left our 2-year-old twin daughters, for the first time. I remember crying on the entire 7-hour bus ride, feeling the pain of a mother separating for the first time from her children. I felt torn and vulnerable, as we hugged and kissed them before boarding our bus to Algonquin Park. I didn’t know at the time, that the grief I was feeling was more about myself stepping out of my defined role as mother, daughter, sister, and wife. I was not only leaving behind my children, but the definition of who I was. The trip was very challenging, and strenuous, and with time I let go of thoughts of my children, and allowed nature to embrace me. I learned a variety of new skills, and challenged myself to push through the challenges of the canoe trip that I didn’t think I could accomplish. I somehow knew that ahead of me, I would be presented with many challenges in the way of fulfilling my dream. The trip for me opened my eyes to what I had to offer the world. I rediscovered who I was at my very core. For the first time in many years I had the opportunity to just be “me”. This was the beginning of returning to myself, and the divinity within me. I continued throughout my education, to participate as a leader on the annual outdoor recreation program in Algonquin Park, strengthening my skills as an outdoor leader. My studies at the University of Windsor faculty of Human Kinetics also kindled my interests in leadership, community, healing, and the environment. Upon graduation, I entered the faculty of education and knew that I would teach and learn from nature and the circle. Shortly after graduating, my son Tim was born. While raising our family at home I started reading. I was very intrigued by books bridging education, nature and spirituality. In the fall of 1992, returning from an Outdoor Recreation program, in Algonquin Park, my co-leaders and I began dreaming of having a place of our own to bring students to, to connect them with nature. Once back in Windsor, I talked this over with Todd, who was teaching at the time. We agreed to start the process of looking for the right place. I started calling various real estate agencies around the park, and stating clearly what we were looking for: “property with easy access to the park, a log cabin on 4-5 acres, with no electricity and preferably on Lake Kawawaymog:” the lake that we frequently visited to go into the park. The real estate agents were not very encouraging. This type of property is rarely available on the market as they tend to be handed down through generations. However, I held the intention of what we were looking for, and trusted that if it were meant to be, it would happen. In March of 1993, I was invited to attend a drumming circle by a friend who shared my enthusiasm for nature & spirituality. At the circle, I was taught shamanic journeying, and was taken aback by this new experience. I was introduced to a whole world that I had no idea existed. Afterwards, I immersed myself in many programs, and books about shamanism. Later I would become very involved in the Foundation for Shamanic Studies, founded by Dr. Michael Harner. I found out later, from my teacher Michael Harner, that “if you don’t want your life to change, don’t learn how to journey!” I hadn’t been told that, when I went to that drumming circle, on that balmy March evening, but my life soon shifted dramatically. In May of that same year, I decided to partake in a women’s weekend, to help me move through blocks that were preventing me from taking steps to fulfilling my dream of creating an outdoor education center. The weekend was called The Woman Within, a women’s initiatory experience “to help women know & embrace all parts of themselves.” My experience was profound. I physically removed the blocks in my mind that kept me from stepping into my power as a woman, while identifying and healing childhood wounds that kept me relating as a child, rather than as an adult. At age 30, the most significant block I perceived was the control I felt my father had over me. Psychologically I removed this block, however this meant that I had work to do on my relationship with my father. The next month, I received a phone call from Chris Hundley, a South River real estate agent who remembered my request from the previous summer. It was Chris’ first day working in his new office, and a couple walked into the office, saying they wished to sell their cottage. They had inherited a cottage in the Laurentians, and had no need for 2 cottages. When Chris called, he said that the couple was interested in selling “a log cabin on four acres, with no electricity, on Lake Kawawaymog”. If we wanted to see it, we had better come quickly, as it would definitely sell fast. The next day, Todd finished his teaching year, and we drove seven hours to see “the cottage”. We brought our son Tim with us, who was just under two years old at the time. It was our 11th anniversary. We followed Chris to the familiar lake, and my heart was pounding as we tried to guess which cottage it would be. As soon as we entered the driveway, we knew this was our dream come true. We found out that the couple had another prospective buyer, and were deciding what they wanted to do. It was very obvious that this place was special to the owners, and that they wanted to make sure that whom ever they sold it to, loved the place as dearly as they did. Seeing that we had a young family, as they did when they first built the place, and that we had dreams similar to theirs, they sold the cottage to Todd and I. We knew this was right for us, because of how easy it was. Somehow, I knew that Spirit directed us here. That summer, in 1993, we hosted our first group: The University of Windsor Outdoor Recreation program. With close to 50 people including leaders and students, we did what we needed to do to make their stay comfortable, safe and rewarding. We cleared areas for tents that would eventually become locations for our canvas cabins. We were beginning to learn how to host guests at our summer home, and what was needed to ensure participants got the experience we intended. Later that summer, along with our good friends, we attended a Tom Brown Jr. Standard Survival Course in New Jersey, where we learned about basic survival: shelter building, fire building, gathering water, plant identification, and how to sharpen our senses and attune to nature’s rhythm. I came to appreciate the delicate balance of nature, and our role in deepening our relationship to mother earth, and ensuring we leave the planet in a better condition for our children and grandchildren. In the Fall of 1994, I suffered a miscarriage. It fell on the birthday of my son Tim, and was yet another reminder that I needed to work on healing my childhood wounds and fears before fully stepping into the dream I had for myself. I had a dream during this time, that a car came speeding towards me with headlights shining, and stopped just short of hitting me. The license plate read “6-9-95 DEATH”. I awoke from the dream sweating and shaking with fear. What does that mean? At this point I knew that this was what some shamans would call a BIG dream, and that I was to pay attention to it. I was not sure if the date meant June 9/95 or September 6/95. As June 9th approached, I was frozen with the fear of what might happen. My family went about their usual business, while I wondered who or what might die that day. The day came and went with nothing out of the ordinary. That summer I led my first canoe trip for women into the park. It was a wonderful trip, however very hot, and I suffered from a mild case of heat exhaustion. Upon returning, I was not feeling well enough to co-lead the outdoor recreation program at the end of the summer, so my husband Todd stepped in to take my place, while I brought our children back to Windsor to get ready for school. Helping lead the University of Windsor Outdoor Recreation trip, I had an experience that changed something inside of me. The large group was split up onto four different campsites for the weeklong trip, and after the final gathering of the entire group we returned to our separate campsites. My campers expressed an eagerness to be the first group to return, by sneaking out of the park under cover of darkness and return by canoe, portaging 22 km in the deep darkness of the night. We waited for the other nearby campsites to go to bed before packing up our camp in near silence. We swept the site clean with our flashlights, being certain we were leaving nothing behind. We loaded the canoes, and paddled silently into the night. Navigating by following the tree-line, and listening to the rapids to locate portages, giving directions by pointing to constellations, and providing visual cues by shining flashlights on our paddles on the fog covered lakes and portaging under the light of our headlamps, the trip was exhilarating. Once back to Kawawaymog Lake the sun had risen and half the lake was shrouded in fog. We were tired, but inspired. We were almost home. After paddling to within a few hundred metres of shore, we paddled headlong and powerfully into the fog. After many minutes we stopped to notice we were no longer headed to shore, but our compass indicated we had turned 180 degrees and were paddling in the direction we had been traveling from! Once we realised we were going the wrong way, we shifted our direction and soon were resting on the shore. The next day, Labour Day, we packed up the bus to head to Windsor. I was excited to return to teaching again for my ninth year. My favourite courses were to be offered in the fall, including a local course I had designed that enabled me to take students beyond the walls on field trips. By the end of the first class, I knew I wouldn’t last the year teaching. By lunch I knew I wouldn’t last the semester, and by the end of the day, I knew I was almost certainly near the end of my teaching career. When I came home the words came tumbling forth without control. “It’s time to make a change. I am done teaching.” I went to my room and sobbed. Martha comforted me and reminded me of her dream. She was not surprised. The date was September 5th, 1995. I sat down to type my resignation letter that I would hand in to the principal the next day, dated 6/9/95 – the date from Martha’s dream. I saw the date on my computer (yes, we had computers back then) and realized it was the beginning of a new life at The Edge. Martha Continues . . .
My father sat with us, and said simply that he understood how it felt when you are not where you need to be. He said just to let him know how he could help, and he would do the best he could. Well, that’s not what I expected him to say, and I felt supported to continue on. However, had I really known the depth of his commitment to us, I wouldn’t have chosen to continue following my dream. Northern Edge Algonquin Retreat & Awareness Centre was incorporated in October 1995. Our mission was born shortly afterwards: to provide experiences in nature that help us rediscover ourselves, empower one another, and heal our connection to the earth. Little did we know, we were setting ourselves up for quite an adventure. When people come to the Edge, our Algonquin Park home, they look around them and see beautiful architectural creations, made of wood and stone. Flowers delicately planted, and paths groomed meticulously through the forest. What they don’t see, or could possibly know, is what is behind all this creation. I understand the term “blood, sweat, and tears” more intimately now, as this is what is behind the Edge. Each of our family, along with the handiwork of dozens and dozens of friends and team members participated in building this healing place. It was their belief in us, and in our mission, that spurred them on to helping us. This is the blood of the Edge: the veins that connect us, bringing life here. Birthing the Edge, we laboured with sweat, knowing that every minute of dreaming and creating this magical place was valuable beyond measure. With great belief and trust, we continue to do what needs to be done to breathe life into the Edge, because we know deep down how much it is needed in our lives, and in the world. The tears of the Edge continue to be shed, as we continue to grow into ourselves, leaving behind what we once knew. A great deal of what Northern Edge is about, is healing. I continued to struggle in my relationship with my father, as I tried to find a common language to speak with him. In February of 1996 I attended an advanced shamanism program in California. During this time, I had another BIG dream, in which my grandmother, my father’s deceased mother, came to me. She was relentless with a message that I must start to work with my father, as there was not much time left. I was resistant to working with my father shamanically, as I was intimidated by him. My father was an engineer, and president of a very large car parts manufacturing business. He and I did not have a close relationship. I blamed my father for the dis-ease and unhappiness in the family I grew up in. I hesitantly agreed to work on behalf of my father when the time presented itself. In my journey, my dad’s spirit answered the question by saying he was going to do more “daddy time”. He was going to play more, dance more, go for walks in the forest, and play with the grandchildren more. He was going to go for more boat rides, and fish more. He was going to enjoy life more fully. I went to the hospital when I knew he was out of surgery. I sat next to his bed. When he awoke he reached over to the nurse and said “Hey, don’t take life so seriously”, then he looked directly at me, and said verbatim, what he had told me in my journey. I knew something shifted in him, and the rest of my family also noticed a big change. In August of 1996, my mother and father came to visit us at the Edge. We had just created a pathway up the hill which had taken the entire summer to clear, that is now named the Bear Foot Trail in honour of my father. On the day of their departure, my father walked up the pathway, and back down, and when his foot hit the last step, we heard a crash in the forest. We all came running to see that the old tree, which the previous owner had named the Indian Head Tree, had fallen right along side the path. The curvature of the tree matched that of the path, which was very strange. When my parents’ visit ended, I felt a deep, deep sadness. I journeyed to ask my teachers why I felt such sadness. My teachers said that the tree had sacrificed itself for the dream of the Edge to come alive, and so too had my father. Reflecting back, I now know that at some level my father was making a deal, when he went on that little walk. Exactly one year later, my father was diagnosed with Leukemia. In August, 1997 I lead my first shamanic canoe trip into Algonquin Park. I knew going into this trip that my father was ill, but did not know the diagnosis. Before going on the trip I was instructed by my teachers in a shamanic journey to perform a ceremony, dancing in the light of the full moon when the time was right. The moment presented itself as the full moon lay upon the lake. The air was cool, with warm breezes, and I disrobed and walked into the path of the moonlit water out into the lake. I howled at the moon, and a loon echoed in response. I knew somehow that this moment was preparing me for what was ahead. In the morning we got up very early to prepare to break camp. As we quietly sipped our coffee we heard a bone chilling howl coming from the direction I had howled the previous night. It was a wolf. This was a new power animal that had appeared to me in my journeys. Upon returning from the canoe trip, I learned of my dad’s diagnosis and traveled immediately back to Windsor with my shamanic tools at hand. I journeyed for my father, and worked intimately with him. I retrieved for him a power animal: a bear that would reflect to him his strength, courage, and determination. I retrieved a forgotten soul part: his 11 year old self that knew he was perfect just as he was. He embraced my work, and said to me that I hit the nail right on the head. The work I was doing with him was helping him bring peace to his heart before he passed. What I didn’t realize at the time, however, was the healing work he was doing was also helping his ancestors as well as his descendants. He was healing generations of shame, and so too was I. He would live from 3 weeks to 3 months, according to his diagnosis, so we didn’t have much time. I always journeyed to ask what was needed before I went to visit my father. On one occasion, my grandmother came to see me again, this time in a journey. She asked me to bring with me the wedding rings I had, that belonged to my grandparents. She said they would be transformed. I brought them with me, and went to London, Ontario where my father was being treated. On that cold January night, we celebrated my parents 44th wedding anniversary, toasting their love for one another. The next morning it was apparent that my father would be passing soon. My younger sister then announced that she would be getting married, on that day, as she wanted her father to give her away at her wedding. She had already planned on being married, but the date was set 4 months down the road. So, my other sister brought the champagne, one brother brought a video camera, while the other, a florist, put together a bouquet… and I brought the rings. We held the wedding in the hospital room. My dad was semi conscious of what was happening. I saw him mouthing the “Our Father”, knowing he was doing his last duty, of giving away his youngest daughter. The wedding rings were indeed transformed, as ancestral wounds were being healed. The rings signified new beginnings for our whole family. The next day on my visit to the hospital, my father was speaking Hungarian in an unconscious state, which nobody else in the room could speak. I journeyed once again, every ten minutes. I saw my grandmother and father in an argument. They were reconciling their differences. I then saw my grandmother embracing my father, as an infant. Then the party began, with all of the deceased relatives. After some time, a door opened in the wall, and one-by-one the ancestors left. Then, I walked with my dad through the door to his boat which was waiting for him. He told me that I could not go with him any further, and that it takes a while to get the boat ready for a voyage. So, I kissed his cheek, left the hospital and went to my hotel room. Lying in bed, I was struggling with letting him go. I returned to the boat in my journey and asked him all sorts of questions. He finally did something magical to make me fall sleep and I awoke to the sound of the phone ringing, with a message that my father had passed. With the passing of my father, a door of opportunity for healing was opened to us. Each of my family members went through a period of growth and change. We took inventory of our hearts, and took necessary steps to walk with integrity, discarding what no longer fit, and embracing our new lives. It was through my father’s passing that a part of my inheritance became available, a financial gift that fuelled the dream of the Edge. I am very grateful for this, although many times I have wished my physical father were here to ask for advice. I do know he is very present here, helping where he can, as he said he would; and I hear his guidance through my heart, often. The Edge continues to evolve, as we continue to grow into ourselves. There is so much more to share, about each person who has played a part here. Somehow, the thought that this project was pre-planned before arriving here on earth has kept me going. I know at some level, by fulfilling this dream I inspire others to fulfill theirs. When in times of doubt, a saying rings in my ears from my Woman Within Weekend, which is “Trust the Process.” May you, whoever you are, continue to walk your walk, and follow what is in your heart, as we are all connected. 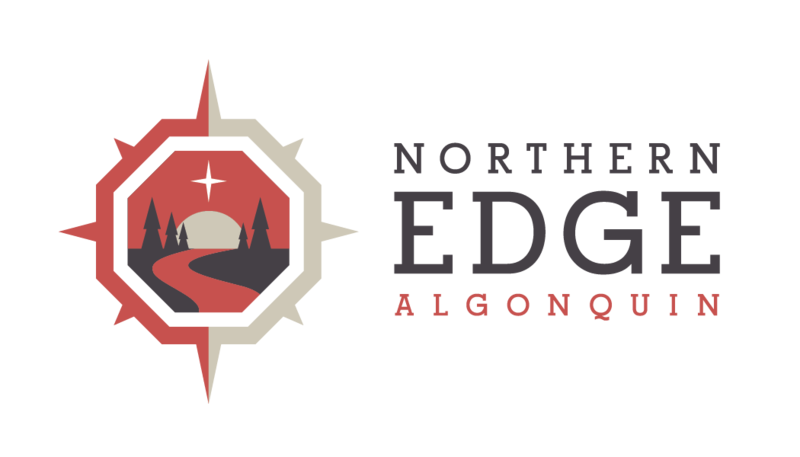 Martha and Todd are the co-founders of Northern Edge Algonquin. Learn more about the History of the Edge.